It is very important to ensure that there is an effective container seal in the shipment. All types of containers are vulnerable to theft from outside sources and the internal sources you employ to transport your goods. So shipping the container intact and without any loss of goods is an important part of ensuring that your business will not suffer destructive financial losses. Whether transporting containers by air, sea or on the road, you must use a reliable container seal if you want to make sure your cargo is safe and secure. Fortunately, Shandong Junchuang has provided the industry's most effective container seal and has won numerous awards for its innovative product design for container sealing and locking devices. 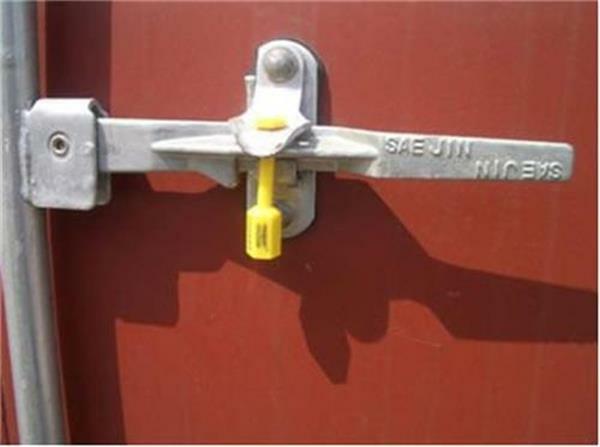 Container safety is very important, you can consider the anti-tamper design provided by Shandong Jun Chuang lock. There is always the risk of tampering or theft of any type of cargo, and award winning container seals are definitely one of the best ways to protect your cargo. Whether you want to make sure you can quickly determine if your container has been tampered with, or if you are looking for the safest container locks and seals, we have a product that meets your needs. At Shandong Junchuang Locks, we pride ourselves on providing the most advanced and innovative products to help protect your freight containers. Our innovative design wins the recognition and respect of industry leaders. No matter what type of goods you ship, you can contact us when you need the highest quality container sealing solutions. Customs was re-sealed because of the cessation of customs inspections, but no changes were made.